Kick off summer with this fantastic YA event featuring Tamara Ireland Stone, Robyn Schneider, and Gretchen McNeil as they discuss their latest novels, writing, creating, and everything in between. Moderated by the wonderful Stacee Evans (@bookjunkee) from Adventures of a Book Junkie. This is a wristbanded event. * For more information and event guidelines please visit our facebook page at www.facebook.com/BNEventsGrove or contact Barnes & Noble at The Grove at (323) 525-0270. 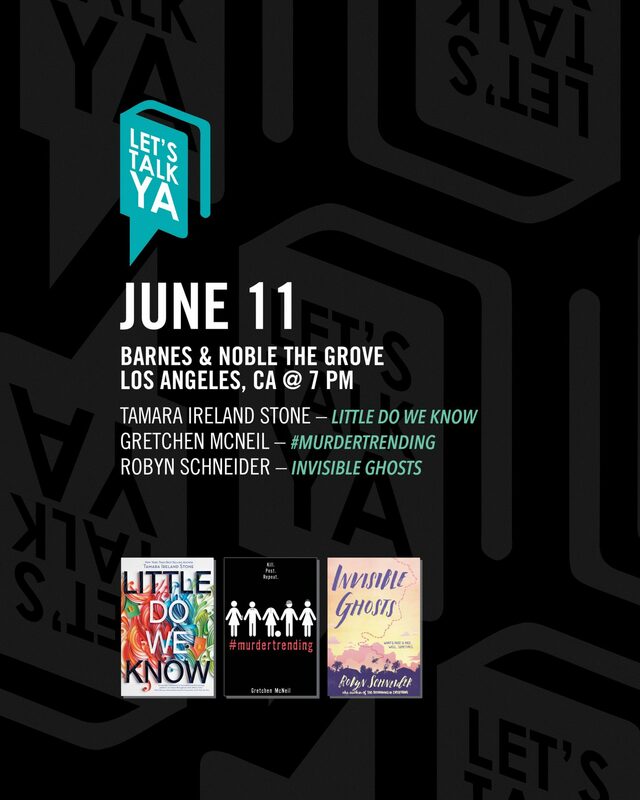 *A wristband will be issued on a first come, first serve basis to customers who purchase LITTLE DO WE KNOW from Barnes & Noble at The Grove beginning June 5th at 9am. Limit 1 wristband per book.